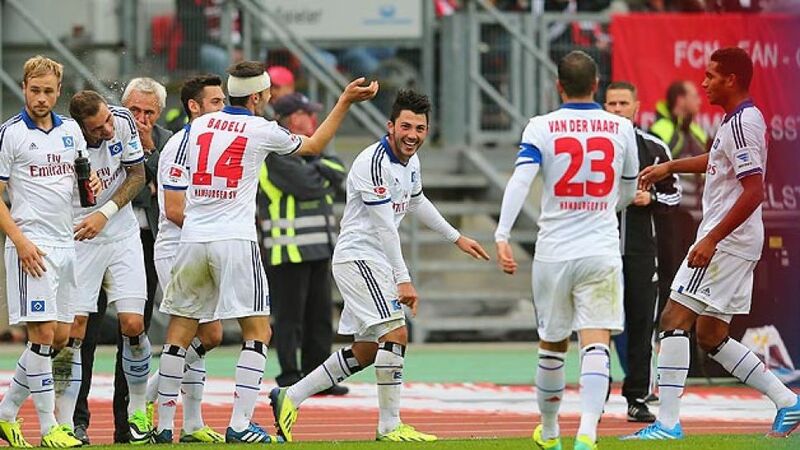 Nuremberg - Hamburger SV captain Rafael van der Vaart was delighted that his side were able to turn in such a clinical display in the 5-0 win at 1. FC Nürnberg on Matchday 8, while the hosts Per Nilsson was left to rue a day of disasters. Rafael van der Vaart: It's always a great feeling to win. We tried to play good football and we did that today, so it's very satisfying. My goal was a bit lucky as well! Pierre is a very good young player and a great guy. We're happy to have him in the team. Pierre-Michel Lasogga: Obviously I'm delighted to have scored a hat-trick, but the most important thing is that we worked well as a team today. Everyone gave their all today and we got our rewards. It was a hugely successful day for us. Per Nilsson: The second half was crazy from us. Individually and collectively, we just didn't perform. We're all unbelievably disappointed, and I can't find any words to describe how we played in the second half. Josip Drmic: The loss hurts. It was a bad performance, we're going to have to discuss it, and everyone will have to hold their hand up. Obviously we're disappointed, the result indicates our performance, and the result certainly isn't acceptable. We've got to get back to winning ways as quickly as possible.